John “Jackie” Smith was an English forward who had a short but extraordinary career. 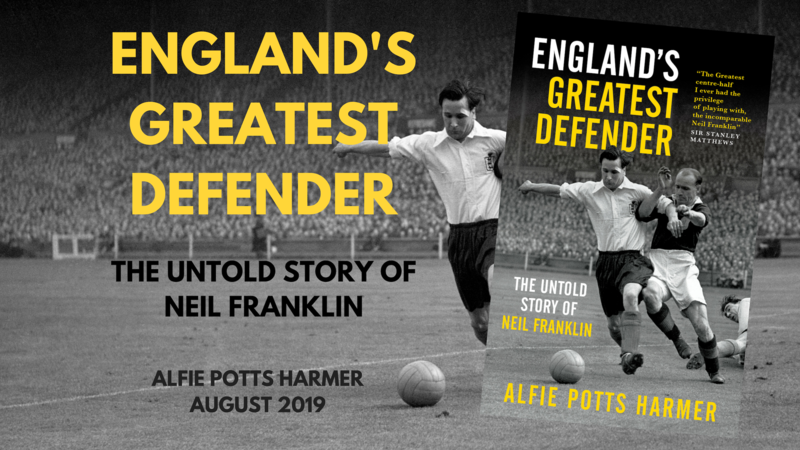 His Football League career lasted less than six years, but in that time he managed to become Europe’s top scorer with Hull City as well as winning international honours, before becoming disillusioned with the game following relegation with Nottingham Forest. A tricky but tough inside-forward, Smith was one of the most prolific scorers in the Football League shortly after the turn of the century. He was the top scorer in the country in the 1907/08 season and the top scorer in Europe in the 1909/10 season. Having come from the humble backgrounds of non-league football to stardom, Smith returned to the lower league’s as quickly as he had risen from them, before being killed in action during the First World War, aged just 29. Smith was born in September 1883, in the small Tyneside pit village of Wardley, Gateshead. As a teenager, he began playing for local side Hebburn Argyle, roughly 4 miles away from his home in Wardley. Hebburn Argyle, who became ‘Hebburn Town’ in 1912, provided the perfect platform for a young Smith who appeared to be a rare talent at that level. He began scoring prolifically, so much so that he could no longer go unnoticed, and in June 1905, he was signed by Second Division Hull City. The Tigers had a large contingent of players from the North East during their early years, including star player Arthur Temple and fellow forward Joseph Shaw. John, or “Jackie”, as he was better known, was one of three Smith’s who played for Hull City whilst he was at the club, although all unrelated. The others were centre-forward Joseph Smith and inside-left Wallace Smith. Whilst the three Smith’s were all unrelated, there were a trio of brothers at Hull City who were, the Browell’s. The presence of centre-half Andy Browell, right-half George Browell and centre-forward Thomas Browell meant that at times Hull City fielded a team with two surnames making up half the starting XI. Like Smith, the Browell brothers were also from the North East, and the 22-year-old Smith had no trouble settling in to his new surrounding’s. As was commonly the case with players plucked from the non-league and lower-leagues at that time, Smith began playing reserve football. He made an immediate impression and was thrown in towards the end of the 1905/06 season, his and the club’s first in the Football League, where they had been admitted to the Second Division. Smith played in 17 of the last 18 games that season, scoring sporadically but failing to score with the ease he had done at lower levels. He started the opening game of the 1906/07 season against Leeds United, but obviously didn’t impress FA Cup winner and Hull manager Ambrose Langley, who dropped him to the reserves after the game. Back in the reserves and back among the goals, Smith was scoring prolifically again, and making it impossible for Langley to ignore him. After a number of weeks in the reserves, Smith scored 14 goals in a single game against Driffield White Star, and Langley could hold firm no more, as Smith was promoted back to the first team once more. This time, Smith grasped the opportunity with both hands, and by the end of the season he was the club’s star player. He scored 19 goals, helping the Tigers to a ninth placed finish, and ending the season as the club’s top scorer, despite his late introduction. If the 1906/07 season was his breakthrough season, it was the following campaign in which Smith cemented himself not just as a star of the Hull City team, but one of England’s most natural goalscorer’s. His 31 goals in all competitions made him the top scorer in England that season, and his 30 league goals made him the top scorer in the Second Division. Despite his form, Hull only bettered their league finish by one place, ending the season in eighth. Smith became the first Hull City player to receive international honours that season, when he was called up to represent the Football League in a game against the Scottish League in 1908. The most notable game for Smith and Hull City that season though came in the FA Cup, in a First Round replay against Woolwich Arsenal. Considered one of the greatest upsets of the day, the Tigers didn’t just beat Arsenal at their Anlaby Road Ground, they thrashed them, running out 4-1 victors thanks to goals by Smith, Temple and Shaw (x2). After a majestic season for Smith, there were a queue of First Division sides looking to sign him. He was happy in Hull though, and having just married and settled down with his wife in the city in 1907, he was happy to remain with the club. Smith began the next season in a similar vein of goal scoring form, but injury prevented him from repeating his tally of 1907/08. He ended the season with 10 goals in 23 games in a difficult campaign for him personally, but Hull themselves did well, finishing fourth and earning a number of plaudits. On the back of an impressive season and now with a fully fit Smith, the 1909/10 season was being eyed up as a genuine chance to reach the First Division. Smith was outstanding. He ended the season as the top scorer in Europe, with 32 goals in 35 games, including four hat-tricks. Hull City came agonisingly close to promotion. At a time when only the top two won promotion, there was only one point between the top four teams at the end of the season. Despite Smith’s goals, Hull missed out on promotion to Oldham on goal difference. It was the closest the club would come to the top flight for almost a century, before finally winning promotion to the Premier League in 2008. Having remained loyal to the club for five years, Smith had grown frustrated. There was no more he could have done that season yet the club still hadn’t reached the First Division, where he now felt he had earned the right to test himself. He began the following season still at Hull, but played only 7 games, before a £500 bid from Sheffield United saw him draw a close to his time in East Yorkshire. His last game for Hull City came in November 1910, against Leicester Fosse. When he left the club, he had scored 98 league goals in 158 league games. Over a century later, Smith remains Hull City’s fourth highest scorer of all-time, behind only Chris Chilton, Ken Wagstaff and Paddy Mills, all of whom achieved their tallies after many more appearances and years at the club. He started life at Sheffield United as he had ended it at Hull, scoring goals. Yet after hitting 7 goals in his first 12 games at Bramall Lane, in his first taste of First Division football, Smith was forced into an early exit from the club. Rather harshly, he found himself behind front three Wally Hardinge, Joseph Kitchen and Robert Evans for Sheffield United. His goals meant there was First Division interest though, and Smith signed for Nottingham Forest, who were languishing at the foot of the table and looking for Smith to spearhead their attack and attempt at survival. Forest became Smith’s third club in a single season, but the fit wasn’t right. Forest struggled all season, and ended the season last, four points off safety. Largely through no fault of his own, Smith found himself back in the Second Division. Disheartened by relegation and with no motivation to prove himself in a league he had twice been top scorer in, Smith grew disillusioned with the game. After five years in the Football League, he returned to the non-league. His next club was Nelson FC, before joining York City FC. By this stage, Smith was no longer giving full commitment to the game, and still only in his mid 20’s, he began playing for Heckmondwike in the Yorkshire League as a full-back. From Europe’s top scorer to playing in defence for a non-league side in the space of three years, it was some come down. His now lowly football career was soon brought to a halt, but not in the way Smith would have liked. WWI broke out in 1914, and Smith was enlisted soon after. He joined up with the York & Lancaster Regiment. 72% of the Regiment were either killed or wounded during the war, and Smith was one of them. The York & Lancaster Regiment won more honours than any other during the conflict, but also suffered one of the highest death rates. Smith himself was killed in battle in September 1916, he was 29-years-of-age. He left a widow and six children, who lived and grew up in Hull. Two of his children, Jack and Jim, went on to play professional rugby for Hull Kingston Rovers. Smith’s career is a remarkable one. He remains Hull City’s most prolific goal scorer (goals-to-game), and unsurprisingly, the club’s only player to have been Europe’s top scorer for a season. His records are made all the more impressive given that Smith was not an out-and-out centre-forward. Although he played the role when called upon, he was primarily an inside-right with a deadly eye for the goal. A contemporary report in the Hull Daily Mail read, “Although only a small man, he is endowed with any amount of trickery, yet prefers to bustle his opponents and seems to take glory in charging a six-foot back.” Former Hull Daily Mail sports reporter David Bond named him in first place in his list of the top 20 Hull City legends, and whilst this seems a little generous, Smith is certainly a man of great importance to Hull City’s early history and one of the Football League’s greatest early goal scorers who deserves to be remembered.